Jaitley also went to say the opposition party had also delayed a session in 2011 and even earlier because the sittings coincided with election campaigns. RAJKOT: Countering Congress chief Sonia Gandhi’s pointed criticism that the ruling dispensation was running away from the winter session of Parliament, Finance Minister Arun Jaitley asserted that the session will be called in due course. But when will be called—after Gujarat votes or after the results? “Well, the CCPA (the Cabinet Committee on Parliamentary Affairs) will meet and decide in the next few days. It’ll called soon,’’ Jaitley said. "The Congress has given the most corrupt government in its ten years of rule, while Narendra Modi has given the most honest government. By forcibly saying that a truth is a lie does not make it a lie," Jaitley said. He said the Congress had itself rescheduled Parliament sessions several times. "(The) timing is decided such that they do not overlap with election campaigns. (Congress) did so in 2011, and even before that," the senior BJP leader said. The Winter session of Parliament usually starts in the third week of November and lasts till the third week of December. 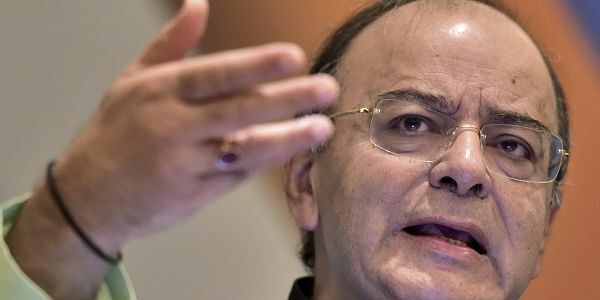 "Parliament session will be held for sure and on all subjects, and the Congress will be totally exposed," Jaitley said. Sources said the government was considering a truncated Winter session of around 10 days starting from the second week of December. Addressing a meeting of the Congress Working Committee in New Delhi today, Sonia Gandhi said, "The Modi government in its arrogance has cast a dark shadow on India's Parliamentary democracy by sabotaging the Winter session of Parliament on flimsy grounds."